Join the School of Architecture on Monday 28 January at 5:00pm for the first installment of our 2019 Spring Lecture Series. 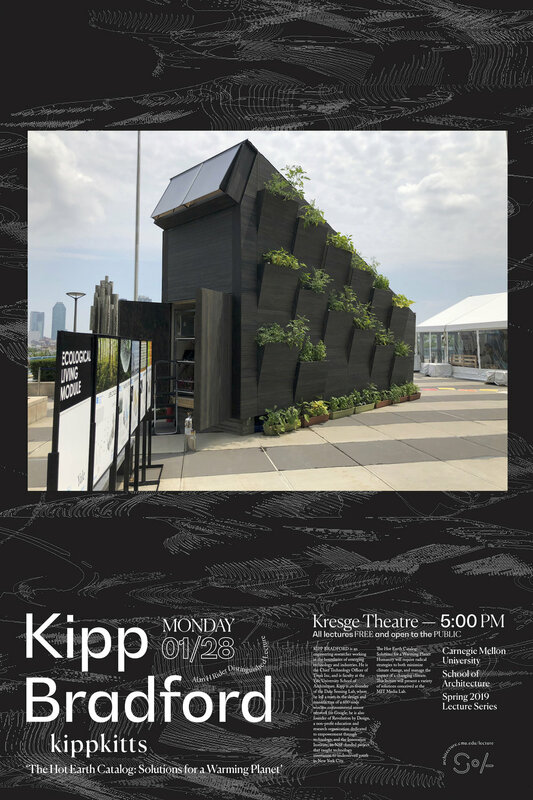 Kipp Bradford will present “The Hot Earth Catalog: Solutions for a Warming Planet,” discussing the solutions he has developed related to climate change and the management of the impacts of climate change in his work with the MIT Media Lab. THE HOT EARTH CATALOG: SOLUTIONS FOR A WARMING PLANET Humanity will require radical strategies to both minimize climate change, and manage the impact of a changing climate. This lecture will present a variety of solutions conceived at the MIT Media Lab. Newer PostProfessor Ramesh Krishnamurti Co-Authors Article in Journal "Computer-Aided Design"